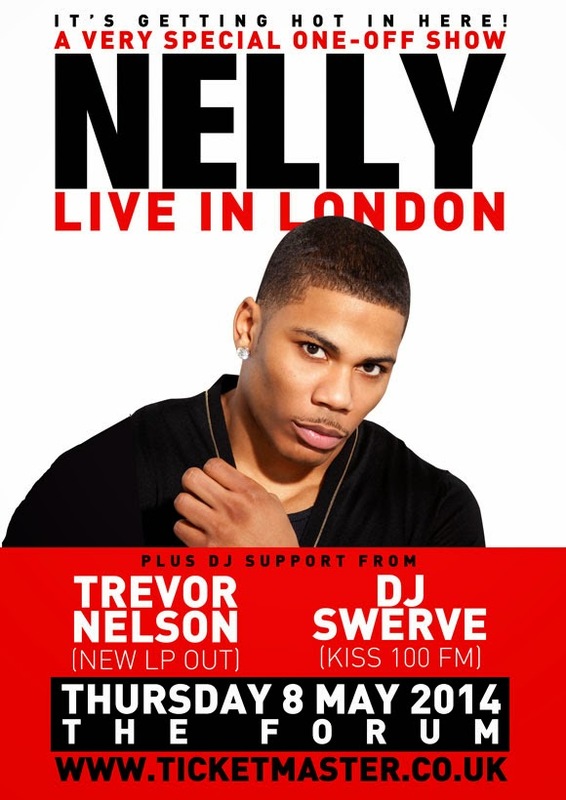 US-rapper Nelly has announced that Trevor Nelson and DJ Swerve will join him for his one-night-only UK live date on 8 May 2014 at The Forum, London. The highly- anticipated show from will showcase his well-known classics as well as new material from his recently released M.O album, including the single ‘Get Like Me’ (Ft. Nicki Minaj & Pharrell). With debut album ‘Country Grammar’ in 2000 and hits including ‘Country Grammar (Hot...)’, ‘Ride Wit Me’ and ‘E.I.’ Nelly crossed the line between rap and pop with ease, becoming a worldwide success and collaborating with artists as diverse as Lil Wayne, Justin Timberlake, Kelly Rowland and Tim McGraw.